These two truths are developed eloquently and cogently throughout the book. In typical Brown-like fashion this book is full of biblical principles, powerful illustrations, and practical examples that will help you become less of a self-righteous Pharisee, and more like Jesus – full of joy, freedom, laughter, and basking in grace and truth. Some of the specific issues Brown addresses in this book are as follows: perfectionism, self-righteousness, legalism, anger, repentance, unity in the body of Christ, pride and humility, religiosity, honesty, freedom, grace, and truth. (2) Why do you persist in irritating everybody? Free sins? That’s outrageous! Why don’t you write and teach in a normal way? (3) There are a lot of examples in the Bible that show God’s wrath, and yet you say that God isn’t angry at his people. Are you sure you haven’t gotten it wrong? (5) Okay, but what about obedience? (6) Is holiness and sanctification irrelevant? (7) What about discipline? You very conveniently avoid Hebrews 12:7. It says in case you don’t know, “It is for discipline that you have to endure. God is treating you as sons. For what son is there whom his father does not discipline? (8) You don’t seem to care much for excellence nor do you have a very high view of human nature. Don’t you think you’ve gone a bit too far? (9) Okay, but where do you draw the line? (10) What about right and wrong? You don’t seem to care about that. (11) What about being missional? If Christians buy into what you’ve taught, won’t people stop going on the mission field, feeding the poor, and caring for those in need? (12) Aren’t you a bit pessimistic about human beings? (13) Doesn’t that lead to “wormology” and a bad self-image? (14) What if you’re wrong? As usual (when reading a Brown offering), I read this book and felt the full gamut of emotions – I laughed, and cried, got mad (not at Steve Brown) – but at myself and other Christians – for our self-righteous stupidity, and most of all praised God for His amazing grace and patience with the world, and especially with me! There is solid theological and practical food for the head, heart, and hands all over the place in this book. 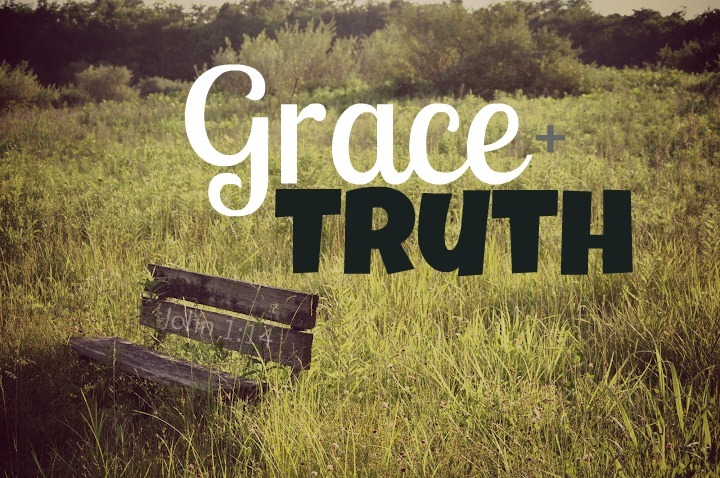 Once again, I was struck by God’s amazing grace to save a wretch like me. And once again I’m glad for all of humanity that I’m NOT God – and that Jesus is – and that He is my Savior – His righteousness in exchange for all of my many sins – covered by the Blood of the Lamb for all eternity by the sheer grace of God. 1) Those who think they are too “bad” to be saved. 2) Those who think they are “good” and don’t need to be saved. 3) Those who are enmity with God and know it – and aren’t sure how to remedy it. 4) Those who are at enmity with others – and aren’t sure how to remedy it. 5) Those who need to be reminded that God has a plan for them, and that no matter how bad you’ve blown it – there is hope for you because of the Person and Work of the Lord Jesus Christ. 6) Those of you who help others in counseling ministries. It’s a fantastic little book – concise, full of Biblical wisdom, a clear gospel presentation, and leads and will encourage and give you hope. 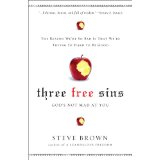 I also recommend it highly as a gift to give to those who are confused, discouraged, and broken over their sin. *Since 1980, Erwin W. Lutzer has served as senior pastor of the world-famous Moody Church in Chicago, where he provide leadership to Chicago pastors. Dr. Lutzer earned his B.Th. from Winnipeg Bible College, a Th.M. from Dallas Theological Seminary, an M.A. in philosophy from Loyola University, an LL.D. from Simon Greenleaf School of Law, and a D.D. from Western Conservative Baptist Seminary. Dr. Lutzer is a featured radio speaker on the Moody Broadcasting Network and the author of numerous books, including The Vanishing Power of Death, Cries from the Cross, the best-selling One Minute Before You Die and Hitler’s Cross, which received the Evangelical Christian Publishers Association (EPCA) Gold Medallion Book Award. He speaks both nationally and internationally at Bible conferences and tours and has led tours of the cities of the Protestant Reformation in Europe. I want to write out the outset that this book (along with “The Holiness of God” by R. C. Sproul; “Heaven” by Peter Kreeft; “Emotionally Healthy Spirituality” by Pete Scazzero and “Prodigal God” by Tim Keller) has been one of the top paradigm shifting books I have read to help me change my thinking – radically. I also, have to write that I do not have the skill or ability to describe or recommend this book with the superlatives it deserves. I can only write that if you are struggling with “mid-life crisis” this book is absolute MUST reading and I’m confident that you will be much better off by reading it. All that written – on with the review. I have personally battled depression my whole life. I am a perfectionist and have had to learn to “chill out” over the years, because I have found that things break, plans don’t work out the way you thought they would, and God is sovereign and I’m overwhelmingly NOT! In this book Paul Tripp brilliantly exegetes reality and brokenness in this fallen world in which we live. He gives dozens of illustrations from the Bible, and men and women in the 21st century to point out the various manifestations of why so many people struggle with the mid-life years. I have read the book twice (and I’m certain – I will read it again) because so many of the stories are about my own struggles. He brings out in the open so many thoughts, and questions that many of us wrestle with and answers them with penetrating insight, theological depth, and practical life giving grace. This book is not an easy read. I think the more you struggle with life (especially in your middle years) – the harder it will be to read. I found myself crying, and physically aching as I read some of the stories and analysis from Tripp’s pen. However, in the final analysis the book leads you to a fresh new start and brilliantly applies the gospel to your life. Brimming with hope – Tripp shows very practically how God’s purposes and plans for your life will be fulfilled, no matter what you have done, or how you feel at this stage of life. 1) It was just flat out helpful to have so many of the things I’ve thought and felt be identified and addressed so insightfully by the author – in other words – “I’m not crazy” – there are actually millions of people that have gone and are going through what I am during this stage of life – and they are still trucking! 2) I learned to appreciate the realities of God’s design for humanity and how His plans will culminate – my story is a part of the fulfillment of the Great Story of the Bible. Tripp helps you to see that nothing in your life is wasted, and that Christ’s victory on the cross is also your ultimate victory as well. Your failure has been nullified by Christ’s Person and Work on your behalf. We have fallen, but He has picked us up. We have failed, but He has succeeded, and ultimately everything will be made new and perfect again – forever! 3) I was so encouraged over and over again. Sometimes I feel like a major failure in every area of life: as a Christian, pastor, provider, husband, father, taking care of myself physically, and the list can go on and on. However, Tripp is able to bring out the positive realities that result from recognizing our weaknesses and how that makes God’s grace such a wonderful reality for us. 4) I felt like I got to sit down with Jesus as I read this book. Perhaps one of the most helpful things he did in the book is show how much we are like the people in the Bible (even though we think we are not). The author has such a good grasp of theology, the Bible, and what God and people are like – that almost everything he writes is penetrating the deepest recesses of your soul. I think Paul Tripp is very wise, because he has a very intimate relationship with Jesus and brings that relationship to the reader in the book. It made me want to know God more intimately, the Bible more than I do, and to walk more closely with Jesus. 5) It made me even more excited about Heaven and to live for that which will last forever. It made me want to live more simply, for others, and for those things that will please my Master – Jesus. Like many of the Psalms – I started reading the book in a discouraged and depressed state, and by the end of the book I was able to praise my Lord with a smile on my face, and with joy in my soul. I feel like this review is rubbish compared to how GOOD this book actually is. I can only say that this book will help you to understand your sin, need of a Savior, and need for His grace more than you ever have before. Also, that His grace is MUCH greater than all your sin. One more thing – anyone at any life stage can benefit tremendously from this book – you don’t have to be struggling through mid-life to benefit from this book. Get this book, get copies to give away, and grow in His amazing grace. Thanks, Paul Tripp – and I hope that many more people will read and benefit from this book – I sure have! I was gripped by this book from the outset because it was in going through the hardest difficulty in my life a few years ago (similar to what Tullian describes in chapter one) that I realized the idolatry for what it was in my own life and learned to once again treasure the “now-ness” (not newness) of the gospel. It’s easy to take the gospel for granted when you have been a follower of Christ for many years, but I think having to personally live out or flesh out the death, burial, and resurrection of Christ makes one better appreciate the significance of the death, burial, and resurrection of Christ – not only in the past and future – but especially in the now. I am very grateful for this book because Tullian articulates the gospel with passion, clarity, and hones in on how the gospel makes a difference in the now. If you have already read a lot of Tim Keller or Paul Tripp this book will have a lot of new insights for you. However, if you have never read Keller or Tripp than you are really in for a treat. I think Tullian writes in a way that’s simpler, and more concise than Keller or Tripp. No matter how you slice it, this book has great information on the distinctions between justification and sanctification and how everything we long for can only be satisfied in Christ. I highly recommend this book especially for people who are prone to legalism, or have come from a background where “works righteousness” has been emphasized. I think this book is MUST reading if you haven’t read any of Tim Keller or Paul Tripp’s stuff. If you like this book than you will really love Keller and Tripp. These three guys have really got a good grasp of the gospel and how it applies to all of life – past, present, and future – with a special emphasis on the present. As Tullian writes and you read his illustrations, a plethora of Scripture, and a lot of great quotes – my hope is that you too will come to treasure and apply the gospel in your own life more than ever before. It is so exciting to see so many new writers, and pastors going into the depths of the gospel with passion and clarity. He must have a generational gift inherited from his grandfather for this ability (Billy Graham). Tullian has a great story and we all do, if we have repented of our sins and put our faith in the death, burial, and resurrection of Christ and seek to pursue Jesus + nothing – we will indeed get everything we have ever longed for here and beyond! Note: I was provided a free copy of this book by the publisher and was not required to write a positive review. Thanks – Crossway – for continuing to put out the best books in Christian publishing (in my humble opinion). 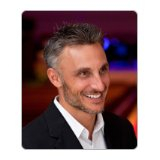 *William Graham “Tullian Tchividjian” is a Florida native (born July 13, 1972 in Jacksonville) and is the grandson of Billy and Ruth Graham. He is named after third century theologian Tertullian. A graduate of Columbia International University (philosophy) and Reformed Theological Seminary in Orlando (M.Div. ), Tchividjian is the author of The Kingdom of God: A Primer on the Christian Life (Banner of Truth), Do I Know God? Finding Certainty in Life’s Most Important Relationship (Multnomah), Unfashionable: Making a Difference in the World by Being Different (Multnomah), Surprised by Grace: God’s Relentless Pursuit of Rebels (Crossway) and, most recently – from which the review above is based, Jesus + Nothing = Everything (Crossway). Before becoming senior pastor of Coral Ridge, Tchividjian was the founding pastor of New City Presbyterian Church, an Evangelical Presbyterian Church congregation which merged with Coral Ridge in April 2009. He speaks at conferences throughout the United States and his sermons are broadcast daily on the radio program Godward Living. He is the new chaplain for the Texas Rangers and the Dallas Cowboys. He married his wife Kim in 1994 and they have three children – Gabe, Nate, and Genna.